Riders gained the upper hand against rookie Semi-Finalists Bristol on Friday night. 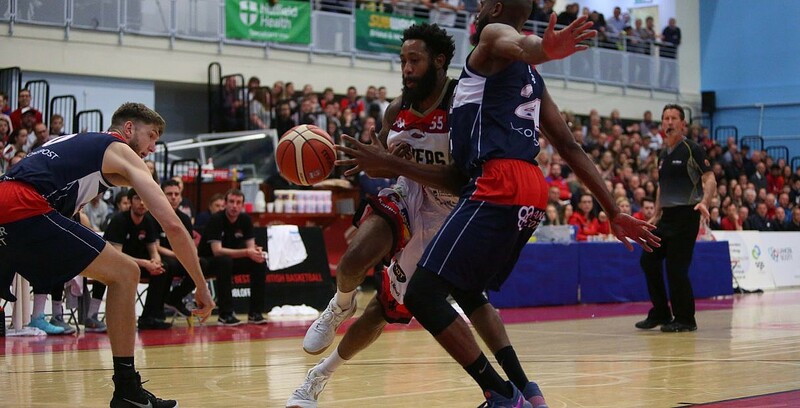 A glorious BBL treble is still very much on for Championship and Trophy winners Leicester Riders, as they put one foot in the 2018 Play-Off Final at The 02 after racking up a road win in Bristol. They took control of the first leg encounter with a devastating third quarter as Flyers struggled to cope on their Semi-Final debut. To their credit, the hosts did rally during the last period to narrow the deficit, but Riders will now have home advantage at the Morningside Arena on Sunday. Tip-off is 5pm and the game will also be broadcast live on FreeSports. Holder goes to work in the paint for two! Turning point – The Flyers and their fans were loving it when they led 36-33, but the wheels came spinning off. Riders put their foot to the metal and recorded a red-hot 26-6 run either side of the break to jump into the box-seat. Key stat – Riders showed their depth with 33 bench points. Game hero – JR Holder was the standout player as he posted a classy 22 points, 11 rebounds and 5 assists for Leicester.